After what was a mostly horrid final months of 2018 for stocks, January has gotten off to a much more promising start. The S&P 500 is up about 3.5% so far this month, which certainly is a relief for most stock owners. Whether the recovery can be sustained is still in question, but another month like December would have been extremely bad news for the markets. The thing is, we’re definitely not out the woods yet. The reasons for the selloff in 2018 are still present. And while stocks may have been oversold heading into 2019, it doesn’t mean we are going to avoid a bear market. The government is still shutdown. The trade war with China is still in full swing. The Fed still may raise interest rates in the coming months. And, earnings season hasn’t even started yet. On the other hand, market volatility has come down significantly this month. That’s a sign that investors aren’t nearly as worried as they were in December. The most popular volatility market gauge, the VIX, got as high as 36 in mid-December. As of this writing, it was all the way back down to 18. The VIX spent most of December around 25 or higher, which is much higher than what we’re used to seeing. In comparison, the volatility index barely got above 15 during all of 2017. Granted, 2017 was a particularly low volatility year, but that doesn’t make 2018 any less of an anomaly. At least one major VIX trader believes there’s a floor on the VIX over the next month of around 17. That same trader is also hedging against a spike in the VIX. More specifically, the trader sold the 16-17 put spread in February and used the proceeds to buy the 30 calls. The trader paid 22 cents for the entire position. The entire trade was executed 21,000 times for a total cost of $462,000. The 30 calls were purchased should we have a repeat of December. At 30.22 in the VIX, this trade breaks even. Every dollar above the breakeven point generates over $2 million in profits. Between 17 and 30 in the VIX, the trader can only lose the premium spent or $462,000. Finally, if the VIX does continue to drop, the trader’s losses are capped at 16, where the position can lose 78 cents or $1.6 million. That’s a still a decent amount of money, which is why it the strategist who placed this trade must believe volatility has a floor. Given all that’s going on in terms of risk events these days, it’s easy to see why volatility could remain elevated for the next month or longer. Buying calls won’t earn you income, but it can be a relatively cheap way to hedge your long stock portfolio or speculate on a spike in market volatility. For just about $1.25 per option, you can buy the VXXB February 15th 45 calls (with VXXB at just above $49). 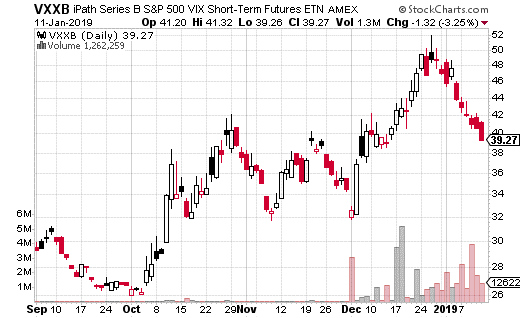 Should volatility spike again in the coming weeks, VXXB could easily climb above $50 like it did in December. In that case, the trade will pay off nicely (as any price over $46.25 by expiration will be profitable). "I'll write you a check for $100 if you don't make 5X your investment"
Options trader, Jay Soloff, makes his gutsiest guarantee of his 21 year career. 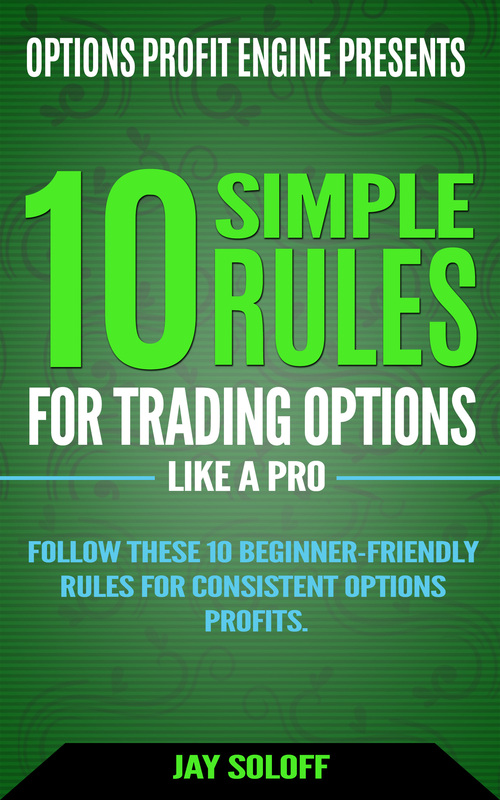 If you use his strategies and don't make 5X your investment, he will write you a check. It's bold. Click here to see how to 5X your investment.